Serbia: Will the central bank cut rates? 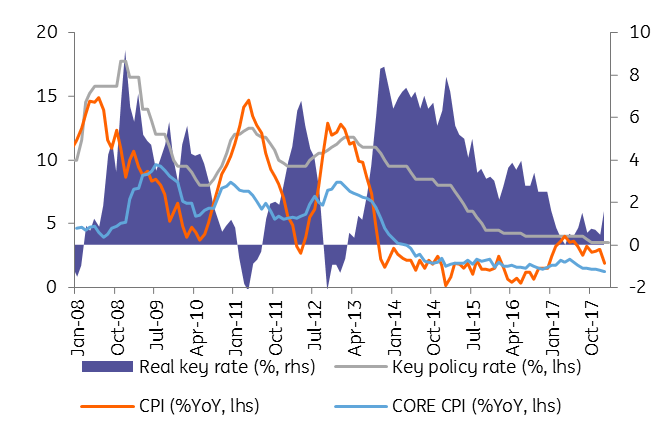 We expect the central bank to cut the key rate by 25bp to 3.25% given the new National Bank of Serbia's (NBS) inflation outlook. Our call is somewhat against consensus with only seven out of 25 respondents to a Bloomberg survey sharing our view. The cut has been somewhat telegraphed, in our view, by Governor Jorgovanka Tabakovic at the presentation of the Inflation Report, who Bloomberg quoted as saying “inflationary pressures point to the need to cut the benchmark rate” as inflation is expected to stay near the lower end of the target band. Recent Dinar (RSD) strength, which prompted NBS FX interventions to curb it, should ease the bank's concerns of exchange-rate depreciation with subsequent pass-through into inflation. We believe that any RSD weakness should be short-lived as the monetary policy outlook is supportive for inflows into local currency sovereign debt. We view the fluid external backdrop as the only significant risk to our call. 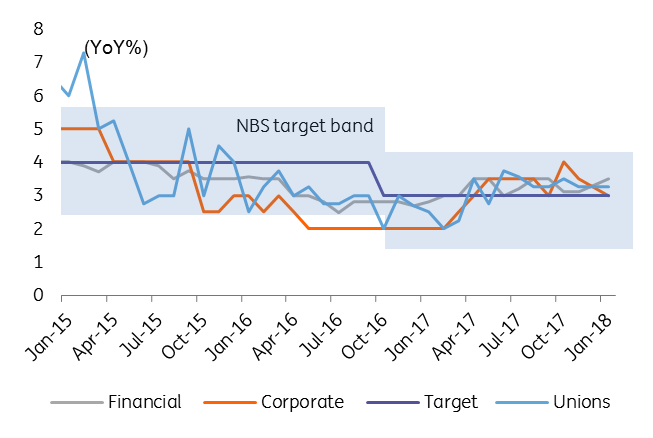 Core inflation well below the NBS target band and the subdued inflation outlook suggest higher relative real interest rates, which along with a firmer RSD would lead to unnecessary policy tightening.